I know what’s missing – they are looking in the wrong place. All the time, they concentrate on West Antarctica. Yes, it has warmed a bit. Ice is melting, and it is melting from below, not in the way that the CO2-based models predict. But the real story about Antarctica comes from East Antarctica, which dwarfs West Antarctica, and the Southern Ocean as a whole. It also makes an absolute mockery of the climate models: Models simply try to apply the laws of physics. if the models get everything diametrically and massively wrong for the whole of the Southern Ocean then they must have got the basic physics wrong. If they have got the basic physics wrong for the overall Southern Ocean, then there is no reason to suppose that they have got the basic physics right for any other ocean. Aid is credited with far too much influence – good or bad. The global economy is worth about $100 trillion a year. To put aid and philanthropy into perspective – the total is 0.025% of the global economy. If spent on Copenhagen Consensus smart development goals such expenditure can generate a benefit to cost ratio of more than 15. If spent on UN Sustainable Development Goals you may as well piss it up against a wall. Either way – it is nowhere near the major path to universal prosperity. Some 3.5 billion people make less than $2 a day. Changing that can only be done by doubling and tripling global production – and doing it as quickly as possible. Optimal economic growth is essential and that requires an understanding and implementation of explicit principles for effective economic governance of free markets. So what are these laws of capitalism? Markets exist – ideally – in a democratic context. Politics provides a legislative framework for consumer protection, worker and public safety, environmental conservation and a host of other things. Including for regulation of markets – banking capital requirements, anti-monopoly laws, prohibition of insider trading, laws on corporate transparency and probity, tax laws, etc. A key to stable markets – and therefore growth – is fair and transparent regulation, minimal corruption and effective democratic oversight. Markets do best where government is large enough to be an important player and small enough not to squeeze the vitality out of capitalism – government revenue of some 25% of gross domestic product. Budgets are balanced and inflation is targeted to 2-3% per annum. Markets can’t exist without laws – just as civil society can’t exist without police, courts and armies. With these principles there is the power of economic freedom – without them there is chaos in the colloquial sense. Poor wee willie – with his devotion to the centrally planning economic AI overlord – lampoons classic liberals as freedom fighters. But there is nothing amusing in the neo-progressive agenda of moribund western economies governed by corrupt corporations collapsing under the weight of internal contradictions – leading to less growth, less material consumption, less CO2 emissions, less habitat destruction and a last late chance to stay within the safe limits of global ecosystems. And this is just in the ‘scholarly’ journals. A less marginal view is that economic growth provides resources for solving people problems – conserving and restoring ecosystems, better sanitation and safer water, better health and education, updating the diesel fleet and other productive assets to emit less black carbon and reduce the health, climate and environmental impacts, developing better and cheaper ways of producing electricity, replacing cooking with wood and dung with better ways of preparing food thus avoiding respiratory disease and again reducing black carbon emissions. Freedom is the key to a thriving world – as we can see in the 2019 Index of Economic Freedom – and we have to feel sorry for poor wee willie. And, of course, there are other issues concerning the misuse of statistics through systematic and purposeful deception, due either to bias or an undisclosed ideologically-motivated agenda or, for money. The skill of the global warming alarmists, in the end, can be seen as nothing more than using statistics to ‘see’ the ‘hand of man’ in the border area between weather and climate. Did this occur because they neglected to listen to their forest management professionals? In California they ignored their forest management experts and tried to blame AGW after their policy mistakes led to catastrophic forest fires. A critique of the insect alarm paper: Alarmist by bad design: actually the paper is an armchair science – alarmist authors just did some Internet searches and statistics. “If you search for declines, you find declines.” Reminiscent of the infamous “97%” study, with 3,146 respondents, where authors kept imposing additional criteria, until arriving at a subset of 77 scientists, 75 of which supported a desired conclusion. Those 75 individuals have ever since been referred to as 97%, the other 3,071 as 3%. (While these numbers are correct, the logic is not quite kosher, but by far not as deceptive as the 97% claim). It could equally be termed look for rises and you find them. Especially our JCH trends of one week to 2 years. But over a properly geologic scale. It is a pronounced, 30-year downward trend. Down. Weaker and weaker and weaker. Until 1998? And then turned negative? There is nothing wrong with armchair science as long as you follow the scientific method and strongly fight biases. That’s the kind of science Albert Einstein practiced when he was a clerk at a patent’s office with fantastic results. The problem with the “insectageddon” people is that they ignored the scientific method and were proudly biased from the start. But the really big problem is that equally biased were the reviewers and editor and most of the mass media uncritically reporting it. The authors actually get a lot of attention that rewards their bad scientific behavior. As scientists are a smart lot, others learn that easy path to success. Many fields of science are accepting being taken over by bias, so as a society we are abandoning the scientific method that it was so difficult to develop. Since society funds science, many scientists have found that the path to success is to give society the results it desires. As with any spoiled brat, giving into the demands is the worst one can do. We are losing our way forward. From time to time I read a new paper that sets a record for how not to conduct science. The paper referenced above has set a new record for bad. I have been active as a scientist since about 1965, so my education involved some factors or principles that might seem old-fashioned or irrelevant. Then, on the other hand, some factors endure and do not change to become trendy or outcast. Foremost among these is ‘truth’, a guidance principle, the central pillar whose absence or dilution disqualifies an author from scientific consideration. There is no absolute scientific truth. There are continued attempts by scientists to evolve what might be seen as a near-final truth, but true scientists will leave the door open for further findings, further challenges, further debates in this process without end. There should be no unqualified ‘givens’. The paper referenced here fails the most elementary test of the question “Is this acceptable science?” The reason is simple. The author, Farrell, adopts from the start a ‘given’ that is no such thing. In his first few words we have “the large-scale production and diffusion of misinformation” as if it is a given that there is indeed large-scale production of misinformation. He offers no proof of this conjecture. Old-fashioned logician scientists would say that Farrell’s misinformation is a key part of scientific progress, the fostering of debate to challenge the existing orthodoxy. You cannot have a healthy sector of science if you do not encourage questioning of the status quo. It follows, in essence, that Farrell’s paper fails from his inability or unwillingness to foster debate by falsely naming it as misinformation. This style of tactic should never be allowed in the proper scientific community. If it needs discussion, it might find a better home among creators of advertising commercials, a place where reasonable people know that fantasy overcomes reality. These 2 papers address uncertainties in determining Greenland’s contribution to sea level rise. The first identified moving snowline variability impacting supraglacial runoff and the second raises questions about accuracy of models assuming runoff given so many unknowns about englacial and basal dynamics. Very good. So the question is during that 6+ months of modeled loss in SMB, how much of the runoff has actually reached the sea and contributed to GMSLR. The questions keep accumulating, given the issues raised by these 2 papers and others. And, of course, that doesn’t even touch the unknowns surrounding the geothermal activities in and around Greenland. Could you provide the link, since DMI seems to have ceased providing this particular map. It is useful……even though it tells only part of the story. The name of the program, OMG, is so lame, and emblematic of the effort in public relations rather than science with integrity. I expect there to be more shocking developments in the next few years as the totally committed find out about natural variability, apparently for the first time in their lives. Nobody is going to be shocked by natural variability because the trend is up: slower up, faster up, slower up, faster up. As Josh Willis had to explain on twitter to the people who only believe NV is down. Thanks for the map but I was asking for the link to the other map, which used to be provided by DMI. Below the graphs further links are provided. Dooh… posted to wrong post. That’s an interesting observation, and It doesn’t sound like other workers have (yet) looked at this @ other bore holes that went to (or into?) bedrock. Seems like a reasonable way to judge the long-term (2.5 to 3 million years) stability of this ice sheet. 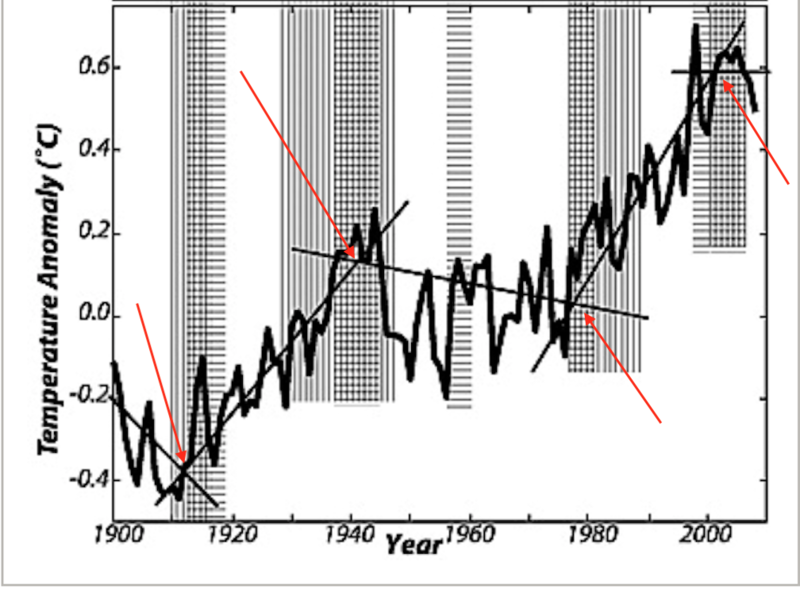 A recent paper referred by Dr. Curry had charts and diagrams, one from Shroder et al showing the last 13,000 years of temps., CO2 along with the sun insolation, Obliquity. I cannot seem to find that paper again. Could someone give me the authors or title. 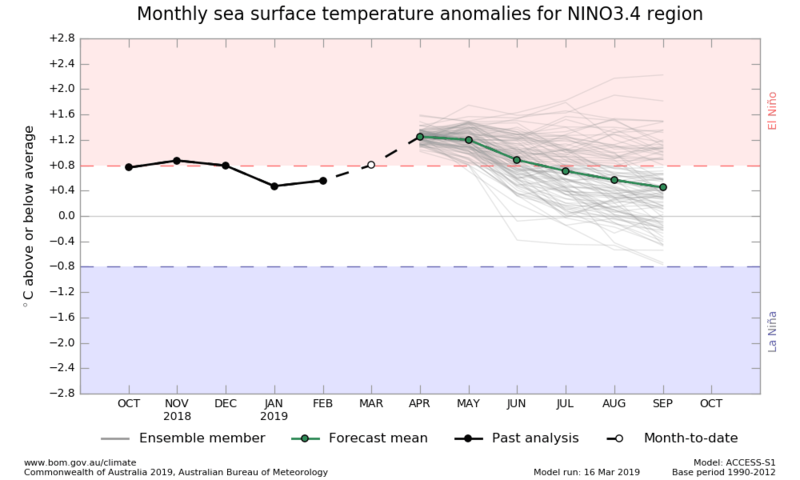 This is the BOM state of the art probabilistic ENSO model. An ENSO module within a GCM. There are many solution trajectories – means can be calculated and PDF’s created. How do they get all these answers from the same model? Is the right question to ask. April is when things change – and models are just not good at picking transitions. 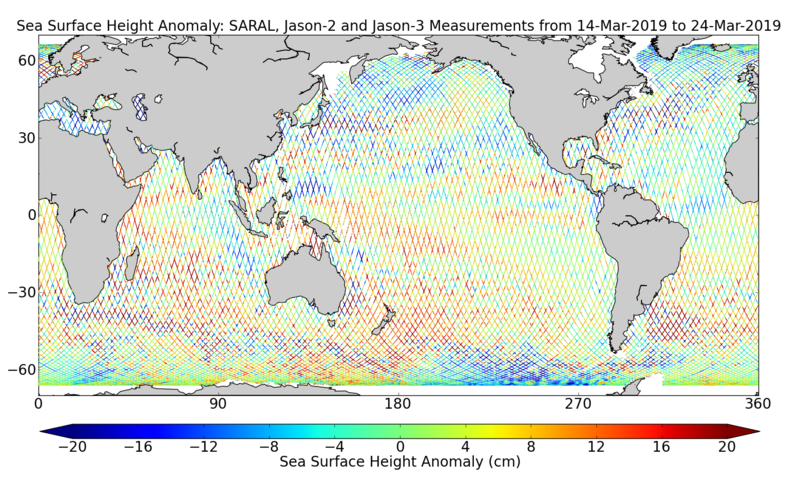 Across the Pacific sea level anomalies are very moderate – shown by washed out colors. 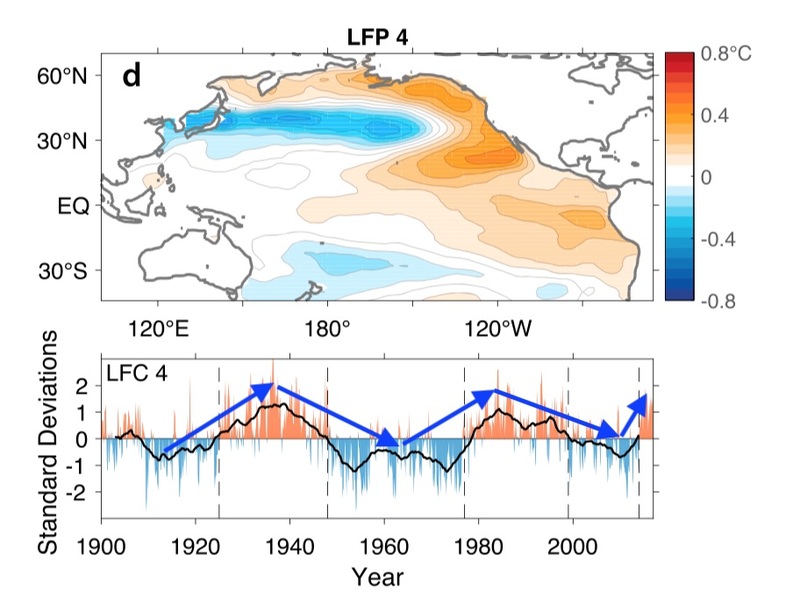 Geopotential energy in water mounded in the west is an essential precursor to El Nino. It is not there. Surface pressure along the equator – in my favorite near real time visualization – https://earth.nullschool.net/ – is remarkably consistent. Meaning easterly winds are light if consistent. For the coming La Nina look for cold water upwelling in the east forming into high surface pressure zones. Obviously eventually there will be another weakling La Niña. “Brr!” The maps have been blinking upwelling, no upwelling fairly often during this El Niño. You said the same thing last year about the spring barrier; Professor Curry said she thinks there is skill in the new modeling; she nailed the forecast; you did not. Don’t know if she has made one for 2019-2020. The ‘new’ probabilistic forecast was posted. It comes from here and the core modules are derived in an international collaboration. One can see the results. Multiple ‘skillful’ predictions. The spring predictability barrier remains regardless of the source of probabilistic forecasts. There are some implications of a ‘weakling La Nina’. The charge/discharge nature of the phenomenon implies that a weak La Nina produces a weak El Nino. Is he predicting a quiescent Pacific?